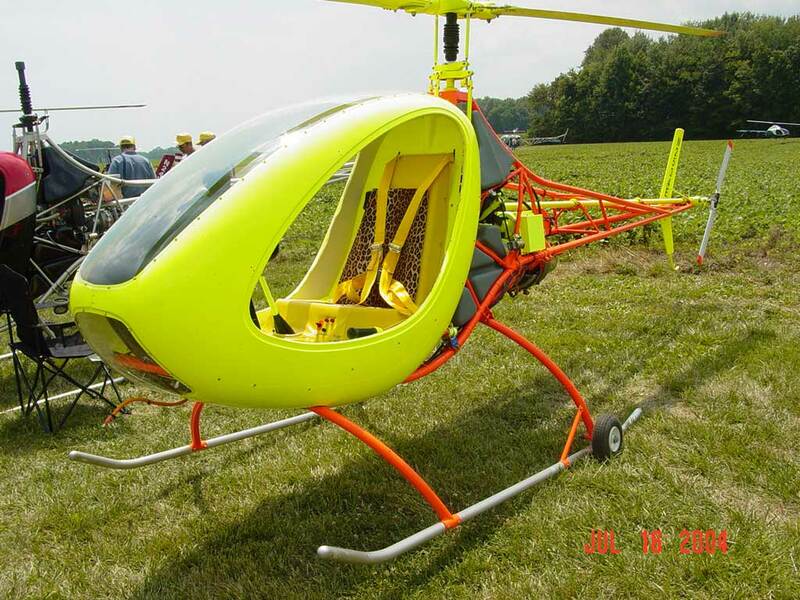 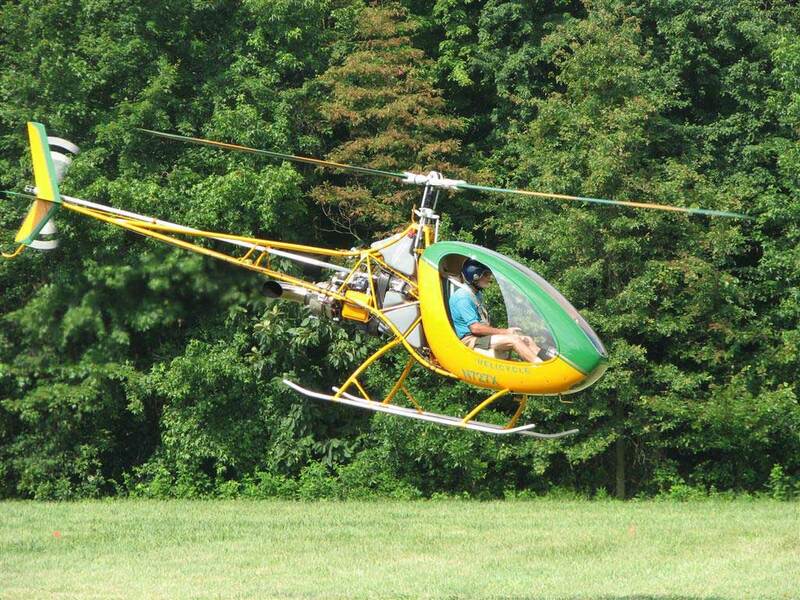 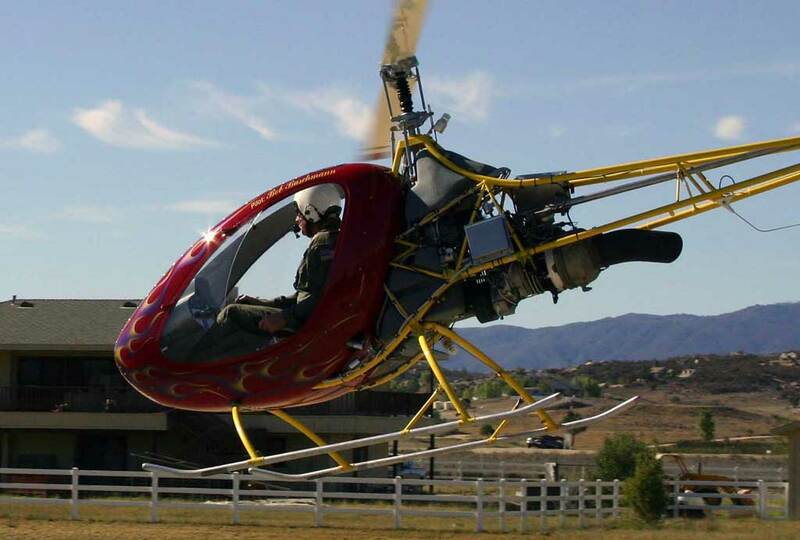 The Eagle Helicycle is a single seat small kit-built helicopter powered by a modified T62-T32 150SHP turbine engine. 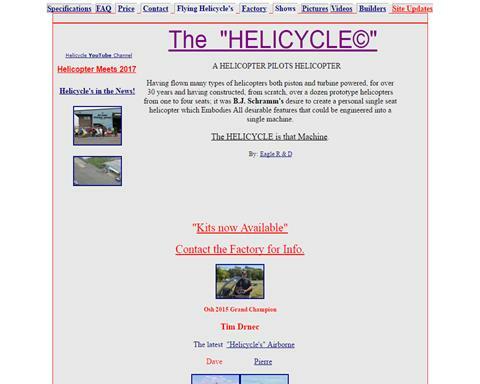 The Helicycle is a small personal helicopter that is sold as a kit for anyone who wants to build their own flying turbine helicopter. It has features such as a fully harmonized rotor, elastomeric thrust bearings (very low twice-per-revolution vibration), a modulated collective pitch system and electronic throttle control (governor). 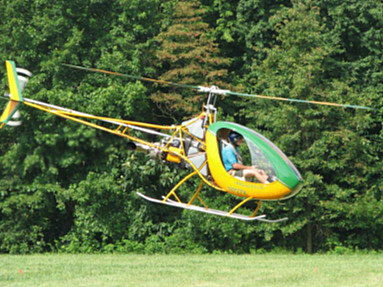 The feel of the flight controls are modeled after the Robinson R22 so that autorotations and quick stops are performed in a similarly in both helicopters, thus making it it easy for new pilots transition to flying their Helicycle with little adjustments.